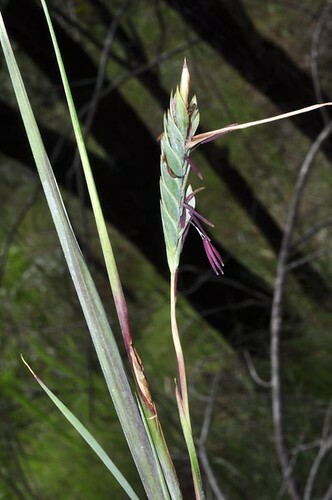 Among one of the taller non-bamboo grasses in Far North Queensland, the Giant Spear Grass is a common grass and can be seen around urban areas and other open areas. 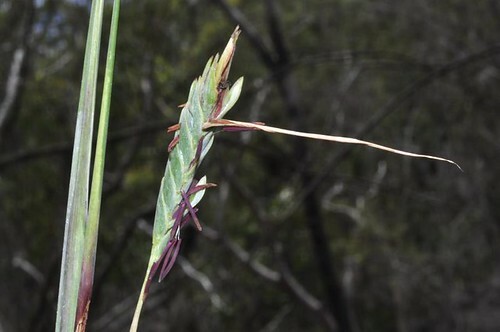 The stems (or more specifically culms) can get up to over 2m. 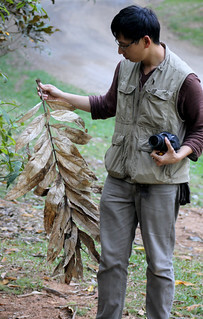 The seeds are awned, meaning they have a long awn-like appendage that helps them bore into the soil. 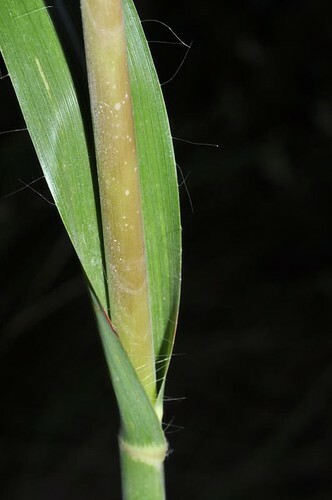 The awns of the seeds achieve this by operating in a series of twisting movements when moisture level changes. 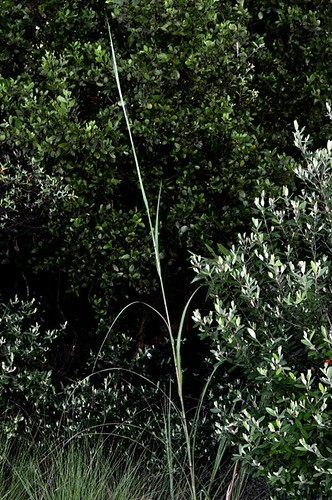 This entry was posted in Habitat - Coastal forest, Habitat - Eucalypt Forest, Habitat - Grassland, Habitat - Savanna, Habitat - Urban Areas, Lifeform - Lilies and grass-like plants, Poaceae (Grass family) and tagged Giant Spear Grass, Heteropogon triticeus, Poaceae. Bookmark the permalink.